Digital photography is one of the great hobbies. It is also a career opportunity for some: making a living for being creative. Others use their photographic skills to be part-time professionals, generating extra income shooting weddings, parties, etc. Virtually every photographer invests a significant amount of money in their cameras and accessories, which means they could be difficult to replace unless all that equipment is insured, just as most people do for their car, home or other valuable possessions. The first two parts of this four-part PhotographyTalk.com article reveals the steps to determine the kind of camera insurance you need. The tips in Part 3 guide you through the insurance-buying process. Part 4 explains some of the preventative methods you can take, so your camera is not vulnerable to loss or damage. For the amateur, photography equipment has been probably purchased with discretionary income, which may not be available to replace the equipment. 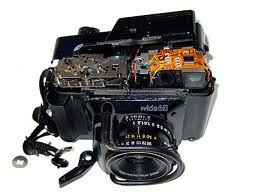 For the professional or semi-professional, camera insurance is only the beginning. If you make money with your camera, then you are technically operating a business. You’ll also need liability insurance to protect you from claims that may result from someone tripping over a tripod or an assistant accidentally damaging a wedding-reception venue. Indemnity insurance is also essential, in case unhappy clients claim negligence on your part during a shoot or someone asserts you’ve infringed on their intellectual property and gained by doing so. You shouldn’t require anymore convincing that you should insure your digital camera equipment and your photography business, regardless of how small it is. Follow these four steps and you’ll make a better decision about the kind of camera insurance you need and where to buy it. Are you an amateur, semi-professional or professional? As mentioned above, the semi-pro or pro must consider broader coverage than just equipment. In many cases, if you’re an amateur hobbyist, especially one with a relatively inexpensive point-and-shoot or compact camera, then it is probably covered under your home insurance. Read your policy and/or check with your agent. When defining your photographer’s profile also consider the future. 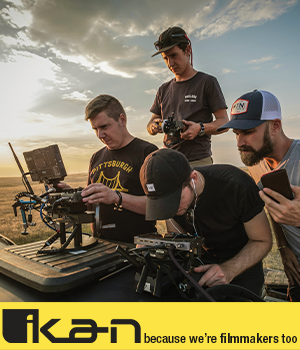 If you’re an amateur with plans to make money with your camera or a semi-pro that expects to become a full-time pro soon, then you may want to determine your insurance needs based on your future status. Create a document that lists all the equipment you want covered and each item’s value. Make your equipment list very specific, with the full name of the equipment and the serial number. Include the date you bought it and the purchase price. Better yet, attach copies of the receipts to the document. You must also decide if you want replacement value, or the current value of the equipment, or new equipment value, which means replacing your older equipment with the latest models. Read Part 2 of this PhotographyTalk.com article for steps #3 and #4 of determining what kind of digital camera insurance you need.